Heartbeat Opera | All the World's a Drag! ALL THE WORLD’S A DRAG! Don thy codpieces, neck ruffs, and farthingales — Shakespeare cometh! Heartbeat Opera proudly presents its 4th annual Drag Extravaganza for two nights of divalicious coloraturas, eye-popping fashion, and Halloween revelries. 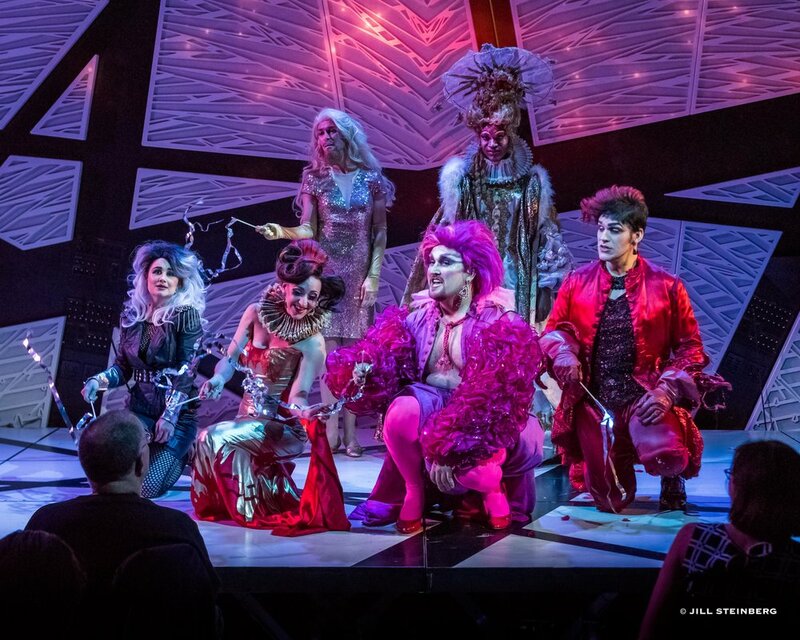 "With its extravagant gowns, wigs, and stage makeup, opera operates at a close remove from drag, and the three-year-old company has turned that likeness into a good excuse for an annual Halloween show. 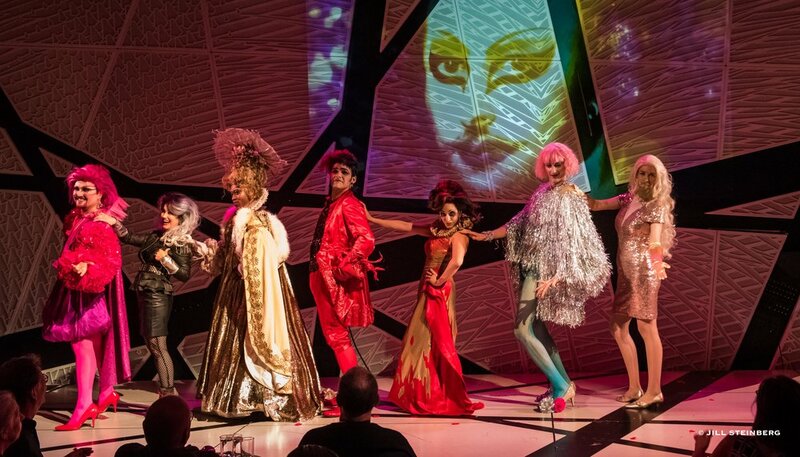 This year, Heartbeat throws Shakespeare and his cross-dressing players into the equation..."
"The New York-based indie opera company is gearing up for its fourth annual Halloween Drag Extravaganza, 'All the World's a Drag!' [T]his year's Extravaganza takes on a Shakespearean theme, paying dazzling homage to the music of Verdi, Purcell, Bernstein, and more." "Heartbeat Opera—the daring young company whose unconventional orchestrations and stagings of classic operas have been called 'a radical endeavor' by Alex Ross in The New Yorker—launches its fourth season on October 30 and 31, 2017 at the cutting-edge music venue National Sawdust." 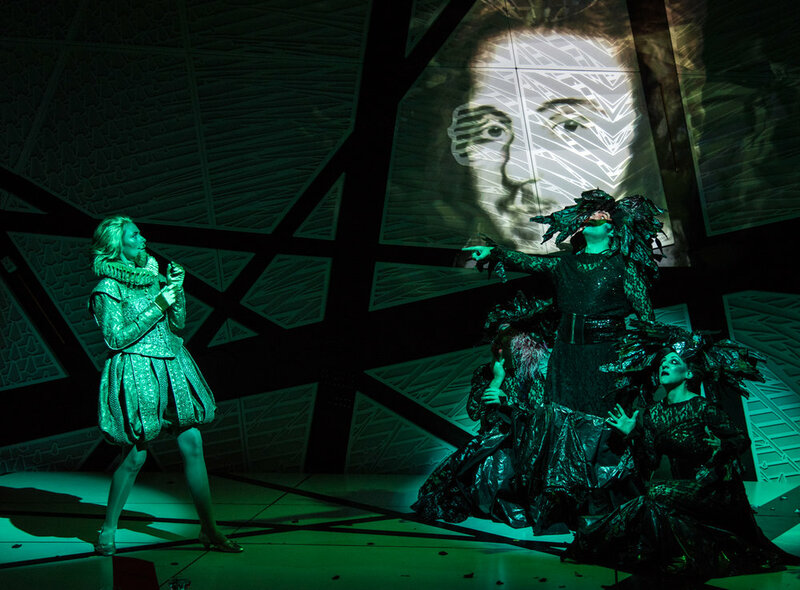 "A fun-filled evening of Shakespeare, musicked, and glittery drag, performed by a high-level company"
Lauren Worsham is a Drama Desk Award-winning and Tony Award-nominated actress and singer. She originated the role of Phoebe in A Gentleman's Guide to Love and Murder (2014 Tony Award winner for Best Musical). Other favorite roles include originating Lisa in Dog Days at Montclair Peak Performances, Fort Worth Opera, LA Opera and Prototype Festival (dir. Robert Woodruff), Flora in Turn of the Screw at NYCO (dir. Sam Buntrock) and Amy in Where's Charley at New York City Center (dir. John Doyle). Lauren is also the front woman of the Brooklyn indie band Sky-Pony which she leads along with her husband, writer Kyle Jarrow. Sishel Claverie returns to Heartbeat Opera after her "smoldering" Carmen (The New York Times) in our 2017 Spring Festival. Praised for her “smoky and seductive voice” and for her “winning vocal power and comic timing”, Mexican Mezzo-soprano Sishel Claverie is quickly gaining recognition as a stage performer. This season, Ms. Claverie made her New York City Opera debut with the role of Baroness and the cover of Old Lady, in their new production of Candide, directed by the legendary Harold Prince. Last year highlights include her debut with El Paso Opera singing the title role in Carmen; the world premiere of the opera Beloved Prey by Kento Iwasaki, in the role of Lioness; Benjamin Britten’s cantata Phaedra, with The Houston Symphony Players, and a recital at the Aldeburgh Festival in the UK. Sishel holds a bachelor's degree in Music from the University of Houston and a Master's degree in Music from Rice University. She currently resides in New York City. The Public: As You Like It, The Total Bent (Drama League, Lucille Lortel nominations), Hair (Broadway and West End). Additional Credits: The Foundry Theater’s production of O. Earth, Iphigenia in Aulis at Classic Stage Company, and Lysistrata Jones off and on Broadway. Film/TV: The Kindergarten Teacher, Detroit, It’s Kind of a Funny Story, "The Marvelous Mrs Maisel" and "She's Gotta Have It." He is a 2017 recipient of the Leonore Annenberg Fellowship, a member of The Actors Center. BFA NYU & MFA Yale School of Drama. John Taylor Ward’s performances have been praised for their “Stylish abandon” (Alex Ross, The New Yorker) and their “finely calibrated precision and heart-rending expressivity” (Washington Post). He is a frequent collaborator with Paul O’Dette, Stephen Stubbs, and the Boston Early Music Festival; William Christie and Les arts florissants; Sir John Elliott Gardiner and the English Baroque Soloists; the Grammy award-winning ensemble, Roomful of Teeth. Other credits include the U.S. premiere of Claude Vivier’s Kopernikus under the direction of Peter Sellars as well as appearances at the Salzburg and Berlin Festspieles, the Kennedy Center, Carnegie Hall, Lincoln Center, and the Edinburgh International Festival. Ward is a graduate of the Eastman School of Music and holds three advanced degrees from the Yale school of Music. He is a founding core member of Cantata Profana and is the founding associate artistic director of the Lakes Area Music Festival. Stephanie Hayes is a Swedish theater artist & teacher. She is currently starring in Slow Machine, a feature film by Paul Felten. Other credits include THEATER: Elevator Repair Service: The Select (Shakespeare Theater D.C.) February House (The Long Wharf Theater) Fairytale Lives of Russian Girls (Yale Rep) February House (The Public) Old Fashioned Prostitutes (The Public) Illusions (Baryshnikov Art Center) Stupid Little Girls (Canada), Shreveport, Texas! (Canada) FILM: Acts of Imagination (Official Selection at Toronto Film Festival). 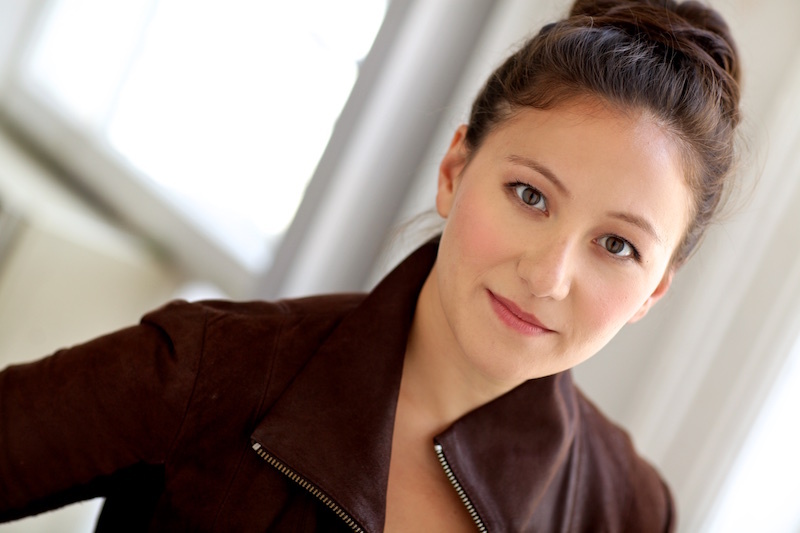 Stephanie has taught theater and created work in Sweden, UK, Siberia, Canada and the US. She is currently making Instagram videos about artistry in motherhood, and developing the show Take My Ear through a residency at Mabou Mines. Stephanie has an MFA in Acting from Yale School of Drama. Miles Mykkanen performs Bernstein’s Candide with Arizona Opera and Palm Beach Opera and Britten’s The Turn of the Screw for Opera Columbus in the 2017-18 season. He also debuts at the Canadian Opera Company in Robert Lepage’s The Nightingale and Other Short Fables and joins the Bard Music Festival for their production of Moniuszko’s Halka. On the concert stage he is heard in Handel’s Messiah with the New Jersey Symphony and Indianapolis Symphony, in concert performances of Verdi’s Otello with the Atlanta Symphony Orchestra, and Miles Mykkanen makes his New York Philharmonic debut in a program of highlights from West Side Story conducted by Leonard Slatkin.